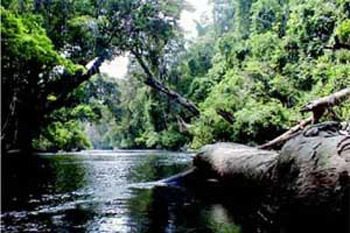 It is located in Kendari district, Kemaraya, about 2 km from the downtown. Lahundape is a waterfall in the mount foot. To reach the mountain, we can see Kendari city from the height. Around the waterfall, there are green trees with its fresh air, so that, we will forget that we stay at the center of Kendari city. In the holiday, this place is become the recreation and camp place. Till now on, this waterfall has functioned as the water source for the society around it.